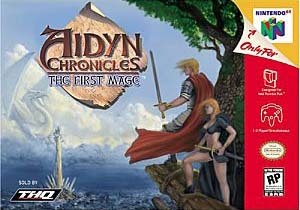 Aidyn Chronicles: The First Mage for Nintendo 64 features Alaron setting on a quest to track his own heritage after he finds out he was adopted by the king. You can choose to play as any of 13 characters. 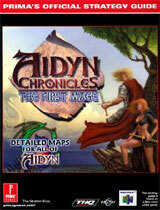 The game is a mix of interaction, fighting, and extensive exploration. All of the battles take place in an innovative turn-based system, challenging you to handle both combat and real-time strategy.